After 12 years in the auto financial business, Don began his retail auto career in 1979. 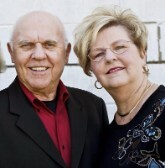 In 1989 Don and Sharon opened River City Auto Sales, Inc. at its present location. Sharon began her accounting career in 1976 working with CPA firms, until River City Auto Sales was born. Together they have built relationships with customers, vendors, and others in the retail and wholesale auto industry. Our goal has always been to help people get the best car at the best price with the best financing available. 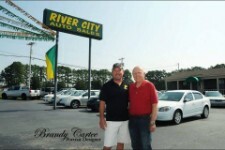 At the birth of River City Auto Sales, Inc. in 1989 I began my career in retail auto sales. It has been a very fulfilling career helping people find the vehicle that meets their needs and and sometimes their dreams. I find great satisfaction in seeing a happy customer return to buy their children cars as they move into adulthood. My main goal is to be the nicest guy you talk to and let the rest take care of itself. From the moment you step on our lot until the time you drive away in your next car, your buying experience with River City Auto Sales is our number one priority. We encourage you to use the expertise and resources of our sales staff; they are here to help you find the right car at the right price. Call us today at 256-340-1557 to schedule your test drive!